Over the past century, petroleum oil has become an integral part of most people’s everyday lives. Crude oil is refined into fuels, lubricants and plastics and most consumer products are at least partially made from oil. Today, a vast network made up of hundreds of companies collects, refines and transports oil and its derivatives to nearly every settled area of the globe. While great lengths are taken to keep petroleum products contained during transport by truck, pipeline or tanker, accidents still occur. The larger incidents make headlines but the smaller spills that occur every day also pose a threat to the environment. The National Highway Traffic Safety Administration estimates that over 21,000 light and large trucks were involved in fatal crashes in 2012. 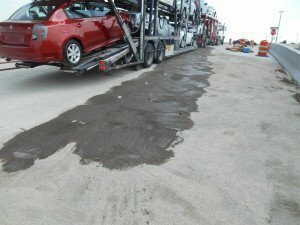 A semi-truck hauling dry cargo can carry hundreds of gallons of diesel fuel, motor oil and transmission fluid and when a truck is involved in a serious wreck all those petroleum products can be released. It’s estimated the recent oil spill in California released over 100,000 gallons of oil, but the combined annual amount of oil and fuel spilled from roadway accidents in the U.S. probably far surpasses it. 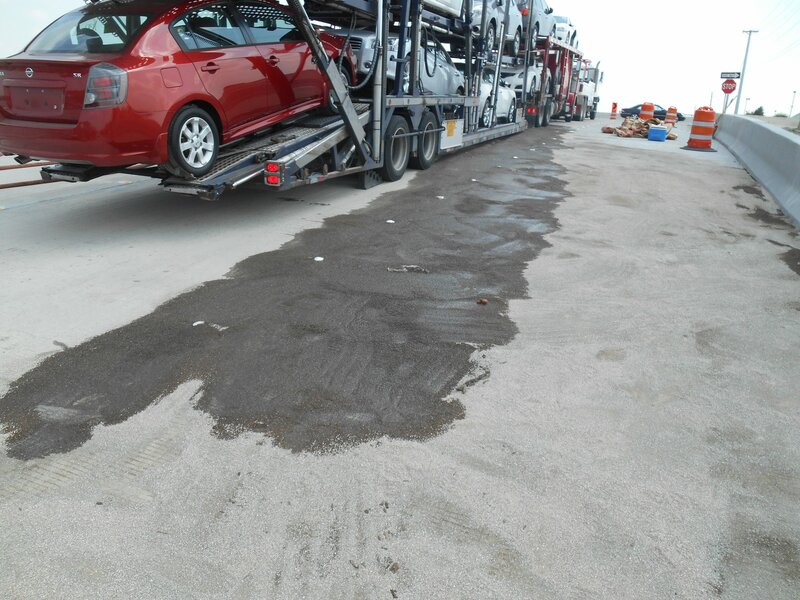 Roadways are a very common place for spills to occur but airports and marine vessels are also prone to having accidents. Since there are so many accidental releases of petroleum products in the U.S. each year, each incident needs to receive an appropriate cleanup response regardless of how small it may be. Companies that don’t clean up their spills can face huge penalties levied by the EPA or the State Environmental Agencies and having an emergency response contractor lined up before a spill can mean a difference of tens of thousands of dollars in the overall cleanup cost. Trucking companies, boat owners and aircraft operators have called on Protect Environmental Services for nearly two decades to respond to oil and fuel spills in North Texas. Our trained staff have the equipment and know-how to respond 24/7 because oil and chemical spills don’t always occur when it’s most convenient. Contact our office to learn about the many environmental services Protect can offer your organization.